These gummies will kick your anxiety into oblivion! CBD has been noted as mother nature’s medicine. Within our bodies, we have a nervous system named the Endocannabinoid system, and it’s in control of homeostasis, mood, hunger, pain, and memory. Similar to other body system functionalities, it is possible to have deficiencies, and the Endocannabinoid system isn’t excluded. Deficiencies can lead you to feel like you’re not functioning at your best. CBD allows the Endocannabinoid system to create more pain-relieving cannabinoids to stop the absorption of anandamide, the compound responsible for regulating pain. It also has the power to stimulate serotonin receptors to make more, which results in calming you down. CBD Gummies do not contain Tetrahydrocannabinol (THC) the compound responsible for that “high” feeling. CBD directly affects the Endocannabinoid system, and one of its main features is mood control. Similarly to medications prescribed by psychiatrists, CBD can trigger serotonin receptors, causing more to produce. Your mood, including anxiety, lifts when there is more serotonin in the bloodstream. Ingredients: Organic Corn Syrup, Organic Sugar, Pectin, Purified Water, Sodium Bicarbonate, Natural Flavor, Natural Flavoring and Coloring, Full Spectrum Hemp Oil. 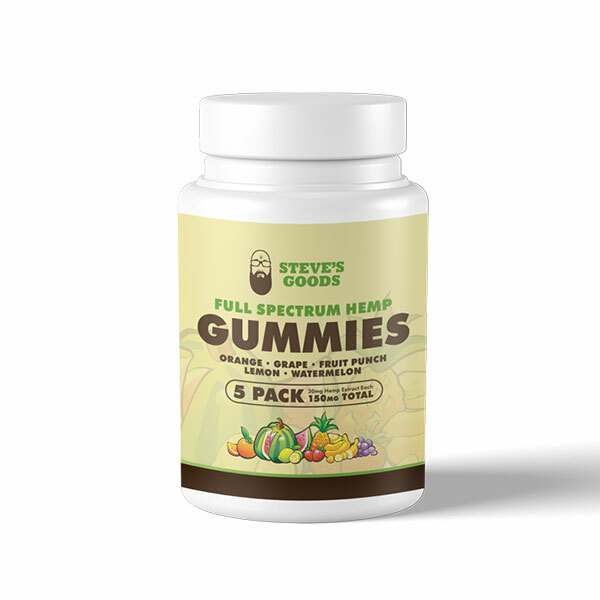 Our CBD gummies are Vegan, Gluten Free, Organic and Non-GMO. CBD Gummies are made with Full Spectrum hemp oil and are a delicious way to reduce pain, relieve anxiety, or kick back and relax. 30 mg of the best CBD on the market within each gummy. Organic, Vegan, Non-GMO, 30 mg of CBD per gummy.